NED Biosystems Inc., a Cambridge, Mass.-based venture developing a seven-agent combination therapy for cancer, has secured a U.S. patent for the treatment, called NED-170. The oral regimen, which comes in a daily seven-pill pack, targets both angiogenic and immune response pathways for the potential treatment of several types of cancers. If successful, it could potentially help not only extend lives, but also drive down the costs of cancer care in certain cases. The company’s name is pronounced letter-by-letter as an acronym for “no evidence of disease.” It was founded in 2013 by Rebecca Lambert, whose younger sister was diagnosed with stage IV leiomyosarcoma and told that she had less than a year to live, a prognosis made especially heartbreaking since she had a young son. Lambert, who was working on Wall Street at the time, quit her job to help her sister, eventually connecting in that mission with Harvard University’s Judah Folkman, a late scientist known for his research on tumor angiogenesis. With his help, Lambert built a team that put together a regimen of drugs that helped her sister live for nine years, a refinement of which now forms the heart of NED-170. To support that work, the company has raised more than $3 million out of an anticipated $10 million series B it expects to close before the end of the second quarter. An earlier series A round provided the company with $1.5 million in 2015. As patented, NED-170 contains a mix of three generic drugs, cyclophosphamide, metformin and naltrexone, and four GMP-grade natural products, alpha-lipoic acid, curcumin, genistein and melatonin. “The seven compounds are all selected so that they have very specific biological activity because we want multiple driver processes of cancer,” CEO Marc Blaustein told BioWorld. Each is given at a dose that’s known to be well-tolerated and has been selected to avoid drug-drug interactions, he said. Taken together, the medicines act to target two fuel supplies of growing tumors — angiogenesis and metabolism — while simultaneously aiming to boost immune response and apoptosis. To test expectations for the combination, the company is gearing up for a small phase I/II trial which its team hopes to begin around the middle of this year. The open-label study is designed to enroll 10 patients in each of two arms, one focused on the rare cancer cholangiocarcinoma and the second testing the regimen in triple-negative breast cancer. Blaustein said he expects the trial to take about 18 months to run. In addition to safety data, investigators will also be looking for additional tumor response using RECIST criteria, progression-free and overall survival. If successful, the company will decide whether to seek a partner to proceed with its work, raise additional capital or potentially go public, Blaustein said. Initial plans also include running a registration-directed cholangiocarcinoma trial to support a 505(b)2 new drug application while also looking ahead to phase III studies in other indications or potentially a basket trial. The company announced Thursday that the U.S. Patent and Trademark Office has awarded it U.S. Patent No. 10,195,219 for NED-170, a protection that expires no earlier than 2034. Blaustein said his team is also pursuing intellectual property protections in other major markets. Another part of the company’s long-term vision, Lambert said, is to provide cancer treatments to under- and unserved patients in the developing world. “Requiring neither sophisticated clinical infrastructure nor cold chain management, NED-170 is uniquely suited to make cancer treatment possible in the developing world where today most patients lack any treatment,” she said. Cambridge, MA, February 7, 2019 – NED Biosystems, a clinical-stage biotech company investigating solutions for a range of cancers, today announced that the U.S. Patent and Trademark Office has awarded the company patent number 10,195,219 for its lead investigational therapeutic, NED-170. It is believed to be the first-ever composition patent to protect composition of matter for a combination therapeutic containing this many components. NED-170 is an oral combination therapy being explored in several types of cancers for its ability to simultaneously attack 4 cancer-driving processes. The patent expires no earlier than 2034 and provides commercial protection for NED-170 for all uses. NED-170 is a 7-component regimen of oral compounds targeting four essential physiological processes that drive all late stage (stages II-IV) cancer. There remains a significant need for an alternative approach to cancer treatment with improved therapeutic outcomes and patient quality of life. The 27 new solid tumor oncology drugs approved by FDA during the most recent 5 calendar years have provided an average survival advantage of only 5.8 months¹, often with serious side effects. The patent includes claims to the unique combination of NED-170 components, providing composition of matter protection to any NED-170 drug product or kit. The patent also includes claims for NED-170’s use in late-stage ovarian cancer. 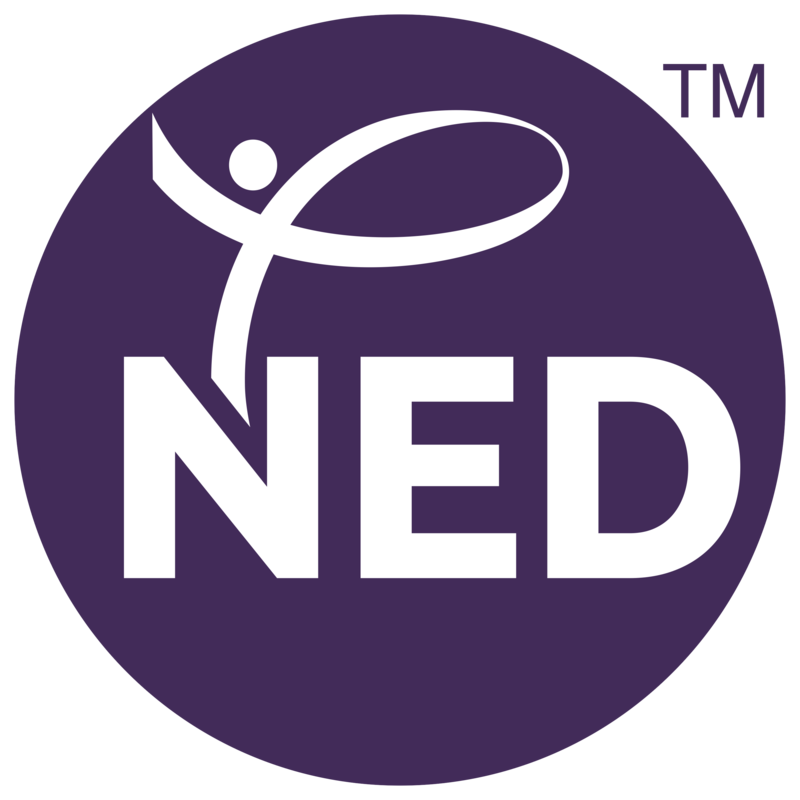 With NED-170, the company seeks to avoid the customary toxicity and side effects of today’s typical cancer treatments; it offers the potential for longer survival with high quality of life for late-stage cancer patients. NED Biosystems will rely in part on research and data previously generated regarding the individual NED-170 components to support the safety and efficacy of the treatment in a 505(b)2 new drug application. The company plans to initiate a Phase 2 clinical trial in the first half of this year to investigate the safety and efficacy of NED-170 in patients with triple negative breast cancer or cholangiocarcinoma, and anticipates expanding research to other types of cancer, both rare and common, including ovarian cancer. Based in Cambridge, Massachusetts, NED Biosystems is a clinical-stage biotech company developing an innovative oral cancer combination treatment. NED Biosystems was founded by Rebecca Lambert, who assembled a team of leading cancer researchers from across the country to develop a drug that simultaneously affects the key processes that drive cancer survival and growth. Due to ease of oral dosing and cost-effectiveness of the treatment, the company aims to provide revolutionary, efficacious treatment solutions to patients not only here in the US, but also in the developing world. Visit nedbiosystems.com. 1During the period 2014-2018, of the 27 NMEs approved by FDA for solid tumor indications where survival was reported, the average survival improvement over standard of care comparator was 5.8 months. We are a clinical-stage company developing cancer treatments. We begin with a focus on patients and their families. Our mission is to not only improve patient clinical outcomes, but also develop therapies that maintain a high quality of life. © 2019 NED Biosystems. All Rights Reserved.